WaterCrest at City Center has an impressive selection of ten unique floor plans. 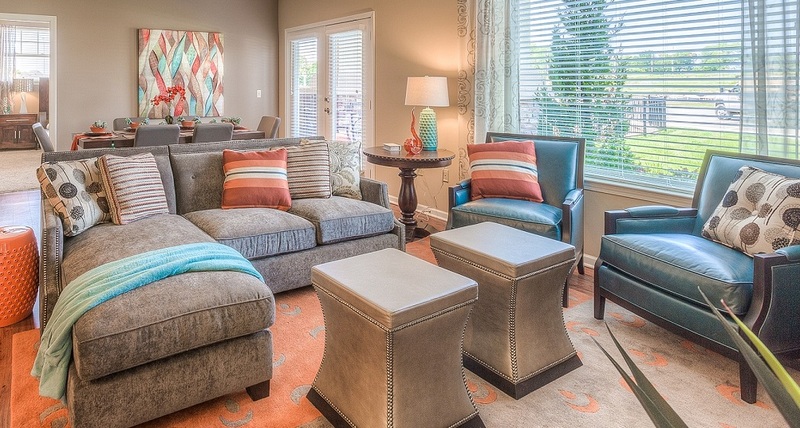 Prospective residents can choose from either a one or two bedroom apartment home. Apartments feature a kitchen, living room, dining area, private balcony or patio, and the corresponding number of bathrooms and bedrooms. Endless amenities are at your fingertips with our high-end features such as oversized windows, signature light fixtures, and granite countertops in the kitchen and bathrooms. Our community serves as an extended living space where you can enjoy our extensive internal walking trail system, heated, zero-entry pool with cabanas and oversized hot tub, and summer kitchen with bar. With our selection of ten floor plans, it is simple to find the perfect space that suits your everyday lifestyle.